Gregory Maqoma, founder and artistic director of Vuyani Dance Theatre in Johannesburg, South Africa. Trained both in South Africa and Belgium. 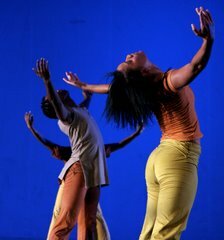 As a Choreographer, Teacher, Dancer, Artistic Consultant and Director, has taught and presented work in the Netherlands, United Kingdom, Sweden, Switzerland, Mexico, Finland, Burkina Faso, Austria, Nigeria, France, USA and South Africa. 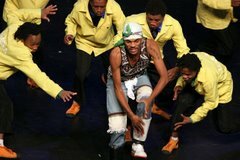 He has won several awards, accolades and nominations in South Africa and Internationally including FNB Dance Umbrella Choreographer of The Year, Standard Bank Young Artist of The Year, Rolex Mentor and Protégé Award Finalist, Daimler Chrysler Choreography Award Finalist, Gauteng MEC Award. Maqoma also serve as Associate Artistic Director for Moving Into Dance and as Artistic Director of The Afro Vibes Festival in the Netherlands. Teaches at several institutions in South Africa, Europe and USA. 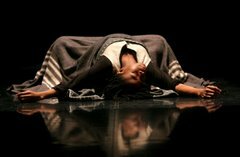 Recently Maqoma collaborated with Faustin Linyekula Ngoyi (Congo), Akram Khan (UK) and Vincent Mantsoe (SA) on his last part of Beautiful Trilogy, Beautiful Me.